Does Jesus do parties by chance? hey guy, at least it’s not box wine alright. i dont get this . Can sm1 plz explain? 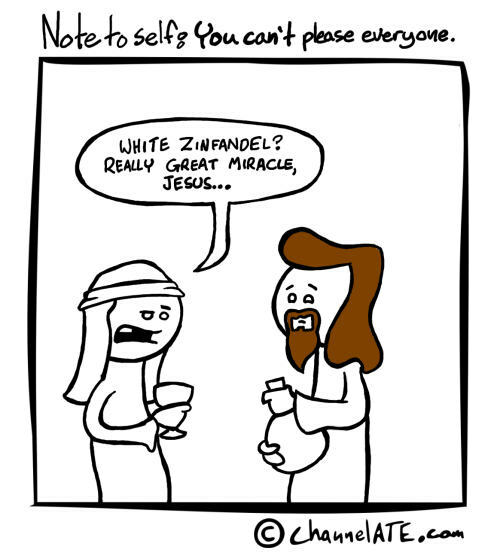 White Zinfandel is a cheap wine. Explaining the joke makes it unfunny. Jesus had a mullet and a goatee? Never knew. Owwwww… Does Jesus do parties by chance?